View where your business has incurred the most expenses with comprehensive analytics. Analyze your employees' expenses and view analytic reports of policy violations to track excessive spending. Identify your biggest costs to curb excess spending. 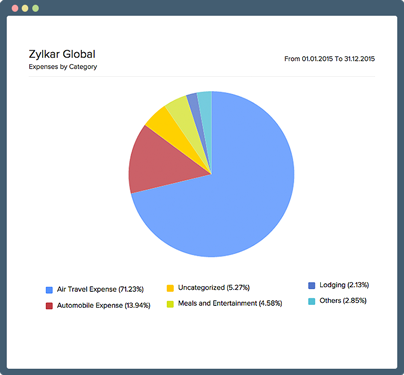 Break down your expenses by categories like travel, business, or entertainment. Tired of searching for the information you need? 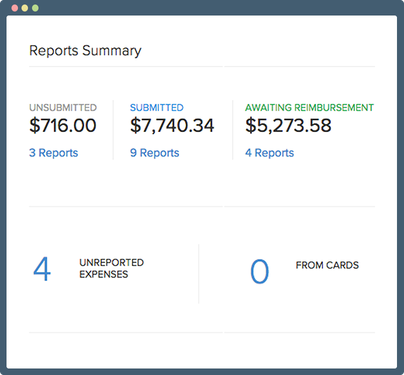 View our intuitive dashboards to get insights into expense reports awaiting approval, and more. 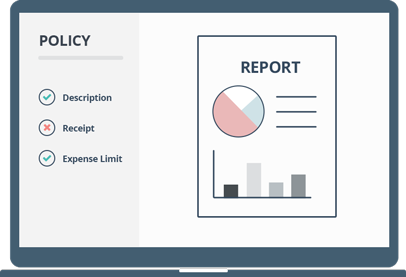 With analytics for policy violations, identify the employees who are frequently violating company policies while reporting expenses. We can assist you in setting up your account so that your employees can start expensing in minutes. Write to us at support@zohoexpense.com for help. Talk with our experts during webinars we host every other Wednesday to get the hang of Zoho Expense in no time. Explore our detailed user guide and FAQ to learn more about Zoho Expense. Participate in our blogs and forums.